Chiapas Hotel Express is a new and fresh lodging choice in Tuxtla Gutierrez, Chiapas, Mexico, ideal for travelers looking for the perfect blend of quality and affordability. Our facilities boast a modern minimalist design embellished with regional touches in a way to pay homage to our Chiapanecan culture. 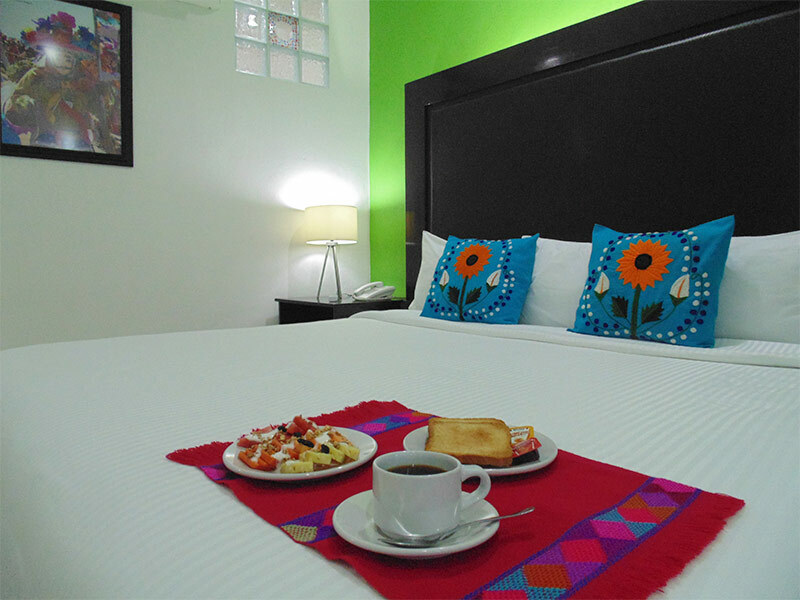 In total, Chiapas Hotel Express in Tuxtla offers 32 spacious and comfortable three-star rooms distributed in two floors, fully equipped with the most requested services by travelers, such as Wi-Fi, air conditioning, television, room service, work table and some other comforts. In addition to accommodation, our hotel in Tuxtla Gutierrez brings more services to complement your stay. We have restaurant area, a business center, large parking lot for up to 100 cars, event facilities and services like internet access and wake up call. Chiapas Hotel Express is located only 15 minutes away from downtown Tuxtla Gutierrez, Chiapas, the Sumidero Canyon viewpoints and the Marimba Park. The International airport is approximately 25 minutes from the hotel and to get there quickly and easily we have airport shuttle.